820 HP engines give this luxury yacht a cruising speed 24 knots! 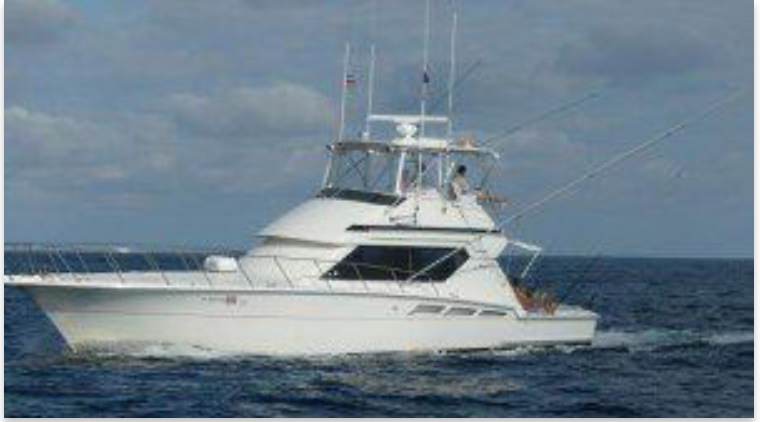 Ultimate boat for larger groups of fishermen or family groups who want to have a little pampering while chasing the elusive Billfish! Three luxury air-conditioned staterooms and two full baths with a beautiful salon with panoramic views of the cockpit and surrounding waters. Fully furnished and newly remodeled kitchen with new granite countertops, stainless steel appliances with microwave, stove, sinks, etc. All fishing amenities included bait freezer, cutting station, tackle center, rod holders, and much more as you would expect from Hatteras.